The map above shows how modern human beings evolved in Africa and then spread throughout the world. 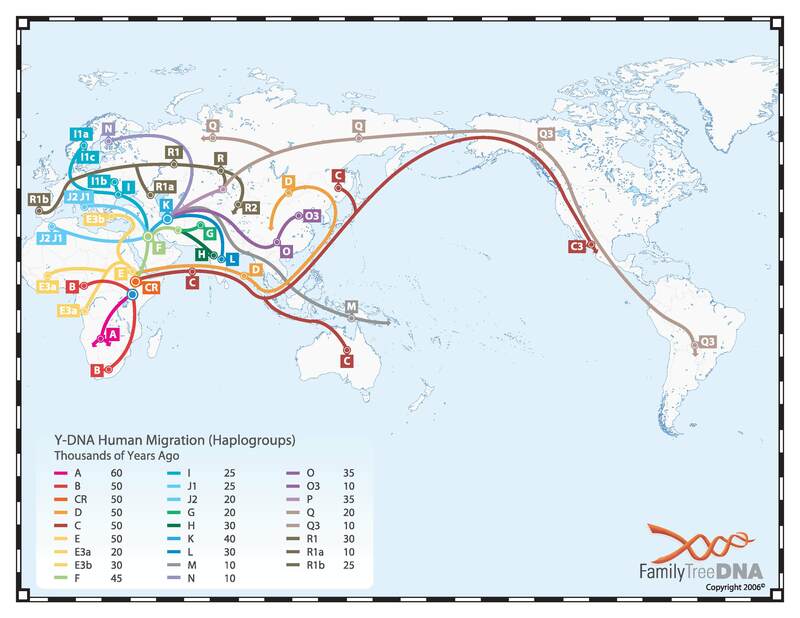 The map shows the evolution and spread of humans by following the Y Haplogroups, which is passed from father to son. 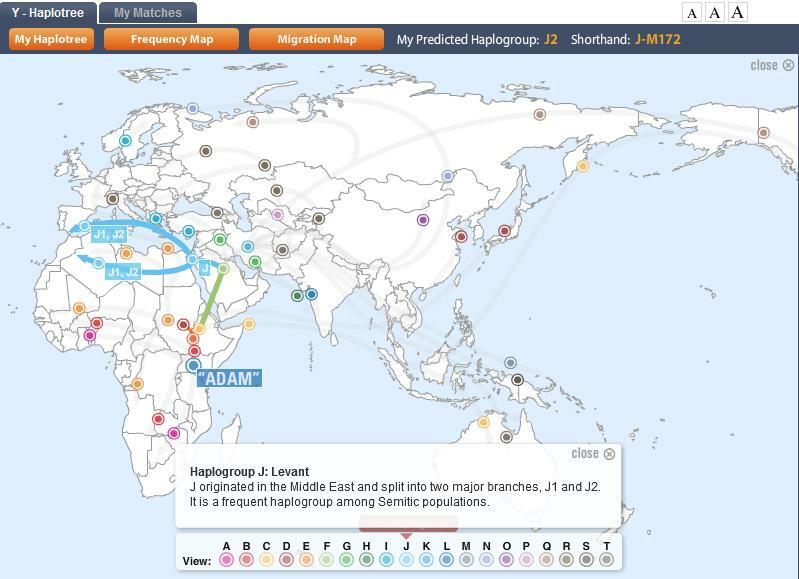 Our Haplogroup is actually J2, a subdivision of J, which split from J and J1 and probably originated in the fertile crescent as shown on the map below. It split from J 18,500 +/- 3,500 years ago. Note how J2 spread along the Mediteranean.